Hudson’s Bay Canada has another great beauty offer on right now! Head over to Hudson’s Bay and purchase at least $36.50 worth of Estée Lauder items and you could receive a free 7 piece gift set valued at $100! 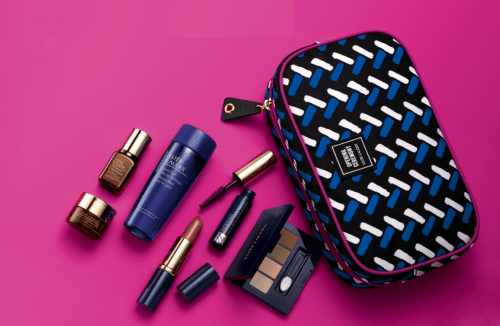 It’s easy to make a purchase of $36.50 worth of Estee Lauder product, and once you do, you’ll get this amazing gift set with some amazing makeup and skin care items all packaged in an exclusive limited edition designer bag! If you do a little more shopping for Estée Lauder product at Hudson’s Bay, you can get even more freebies! Spend at least $85 and you could also receive your choice of 2 free deluxe gift-size moisturizers! These great moisturizers have a combined value of up to $160! This offer is on for a limited time only, while supplies last. Your gifts will be added to your cart automatically once you make your minimum purchase. There is a limit of one gift offer per person. Hudson’s Bay offers free shipping on beauty orders over $29. Click here to learn more about this Estée Lauder deal at Hudson’s Bay Canada.